Yes, you've got it right, it is the very first edition of color palette, everybody! I have always been wanting to do this, adding more resources to this website but I haven't gotten the time to do it back then. But since I have been starting to build the new pre-made themes, I have explored a lot of new colors and I want to share them as a web color palette with all of you. This isn't something new as you can see a lot of other people have been making color palettes like these, the inspiration, to be honest, were from Pantone. While Pantone (which is really expensive for just a stack of color) is used for different interior designs or any physical designs, these color palettes I made are free for web-use! So if you are a creator, or you simply want to update your very own website with a new color, feel free to use these hex color codes in the color canvas, and stay tuned because more are coming up next week! So this time I have chosen a few pastel colors for the first edition because pastel color never dies. 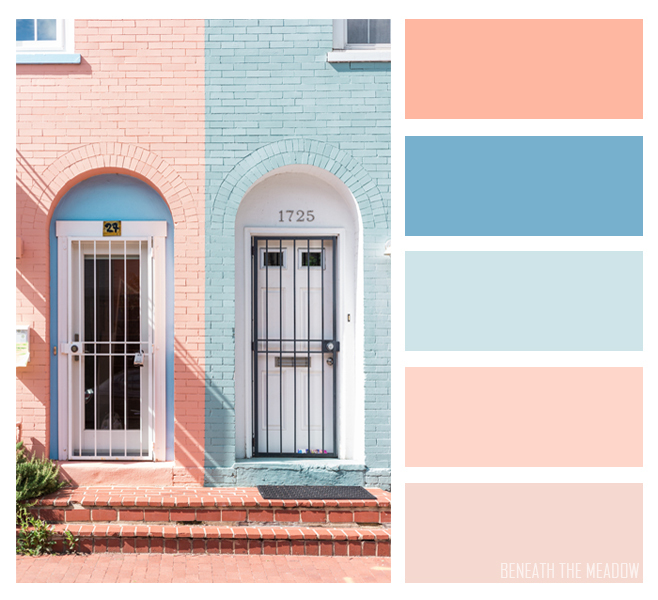 Besides the strong tone of black and white, pastel colors are the colors that people use most of the time. There is a reason behind that, pastel colors are nice to look at, they give a subtle creamy feeling that just makes you happy (that is just what I thought). I hope you love the above pastel colors I chose. If you find it useful or if you love them, please comment down below and link me to a website or any other things that you have used them on, I would LOVE to see them! Also, if you would love to request any other colors or tones, please also comment and let me know, I would love more inspirations on what to choose for the next color canvas. You can also send me a photo you think that is beautiful and suitable to be featured on the color canvas via email! beautiful blog! kisses from Italy! This is so useful! Thank you so much for sharing it ! !